You should definitely consider the benefits of both HIIT and slow-steady. We try to stay neutral with our articles so that you can decide for yourself what’s better for YOU! Check out the benefits of slow-steady cardio and see if that would work better than HIIT for yourself. Afterwards you can check out the benefits of HIIT as well. Have you ever done a high intensity interval training (HIIT) session right after lifting weights? Chances are you were pretty much exhausted for the rest of the day. If you are a close follower of the bodybuilding scene you’ve probably noticed that just about everyone out there is hyping HIIT training as the best way to lose fat and get shredded. For those who are unaware, HIIT training involves doing short bursts of intense exercise followed by low-intensity rest periods. This type of training burns more calories than steady state cardio and makes your body work harder to recover which means your metabolism gets a nice boost after the fact. Some new evidence is suggesting that HIIT might even boost your testosterone levels – go figure! If you are training for a sport, HIIT has been shown to boost your cardiovascular capacity – meaning you will perform at a higher level thanks to your body’s ability to pump blood faster to cope with the demands of HIIT. So let’s say you already knew all this (or you are just learning about it and are excited to get started) you might think we made a typo in the name of the article but actually we didn’t. Today we are going to challenge the idea that HIIT is the best form of cardio. We aren’t saying that you should abandon it entirely, but after reading this article you might decide that you want to start incorporating steady-state cardio back into your program. Wait, you thought that HIIT was actually better for retaining muscle mass? While it might be better for retaining muscle mass in most situations, if you are on a low-calorie diet that is common for people on a cut and are doing several strength training sessions each week along with that you might end up going catabolic! You are already putting a lot of pressure on your body by working out on a calorie restrictive diet. Add the intense demands of HIIT training and your body might be forced to break down muscle tissue for fuel! Obviously this is a situation we want to avoid, so reconsider next time you are thinking of doing some intense cardio and maybe do some steady state cardio instead. Let’s say you live a relatively sedentary lifestyle – you work at a desk all day, drive home and then sit on the couch. You will definitely benefit from doing some cardio however jumping straight to HIIT might be a bit too much. While you won’t burn as many calories during each steady-state cardio session as you would doing intervals you will still be making a difference. Not to mention the reduced physical demands of steady state cardio will make you able to do it more often, which in turn will add up to more total calories burned. Going to the gym and putting in work is great, but you won’t make it very far if your body doesn’t recover properly. If you regularly put yourself through gruelling workouts followed by intense interval training don’t be surprised if you have a hard time recovering. While interval training allows you to burn more calories in a shorter time period it also puts a lot of stress on your system – which you are likely already doing with your resistance training sessions. The fact that you are doing all this intense training can lead to overtraining, reduced recovery ability and ultimately lesser gains. If you are truly going all-out during your resistance training session (which should always be prioritized) chances are you don’t have much energy left for HIIT. Instead, work in some steady-state cardio which is far less taxing and will allow you to recover a lot more quickly. 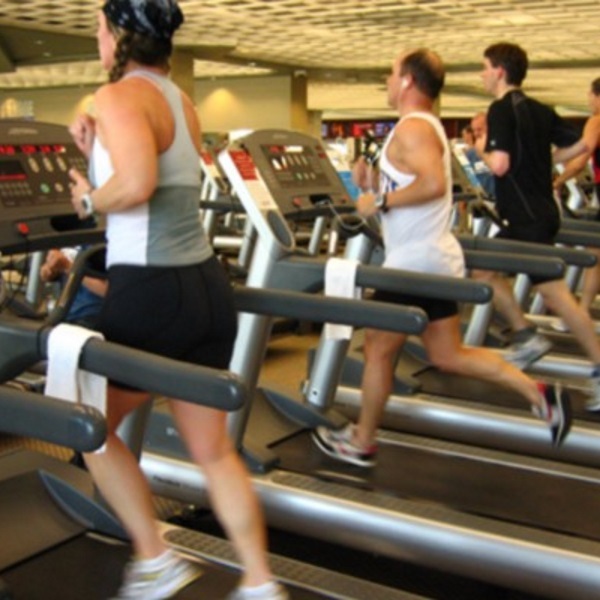 In fact, steady state cardio is a great way to encourage blood flow to the damaged muscle tissue. We hate to say it but HIIT is tough. Like most difficult things in life, the harder it is the less likely you are to do it. Most people hate running sprints so why do you think you will suddenly love it just because it’s a better form of cardio? If steady-state cardio is more enjoyable to you then you will be more likely to stick to your plan. At the end of the day it’s better to take a bit longer to get to your goal physique than it is to never get there at all. In addition to burning calories and aiding with fat loss, steady-state cardio just makes you a more fit person. It improves your endurance and will help you in most sports. This can help you in your day to day life with things like hiking, going on long walks or even dealing with physical labor. No need to explain this. The bodybuilding champion, Mr. Kai Greene can always be seen on his Snapchats and social media channels doing slow-steady cardio.